Whenever we plan to build website the first thing which comes into mind is Domain name. Domain name is nothing but a URL which users enters to visit website. The companies which have rights to sell these unique names are often known as Domain name registrars. Below I will share a list of best domain name registrars, you can choose one out of them as per your need. I was a big fan of Godaddy before but recently I have heard lot of Good reviews about Bluehost so I thought I should update my post and that’s the reason I’m putting BlueHost to the very first position of my Recommended domain registrar list. The reason people prefer Bluehost is because it’s very cheap and provide excellent customer support. Which makes them best and highlight them among the others. The Good News for our Readers: For ES2BW readers the webhosting price is $4.95/mo instead of $6.95/mo (as mentioned in the above image). To get this discount you just have to click the above banner(images) and it will take you to the Bluehost official site and the price would be reduced to $4.95. I like Godaddy the most and that is the reason why I prefer Godaddy to buy any of my Domain name. Its relatively cheap and its customer support is the best. The one thing which I don’t like about them is the advertising because each month they send several email about their discount and offers. However it may turn out to be good for someone else :P.
Long back I shared a post on Domain Registar comparison where I share the current market share of each Domain registrar and Godaddy was the leader among others. This is one of my favorite Domain registrar and web hosting company. It provides huge discount to their customers. Few have pointed out that they are not very good at web hosting services but they do appreciate and call them as a great Domain registrars. Their support and customer care is indeed very good compared to other cheap Domain registrars. The Dreamhost coupon which I have shared above would get you 32$ discount on webhosting per year + it will register your domain free for lifetime, isn’t it cool? I know you would say yes. You can read more about Dreamhost’s domain registration services here, with more details at their wiki and here. As it name implies, its very affordable. NameCheap plans and pricing are affordable for small business. There is no rocket science behind Domain Name, the main feature which we generally require from a Domain registrar company is the support and trust. Godaddy, Bluehost and NameCheap are the best domain name registrars on which anyone can count on. 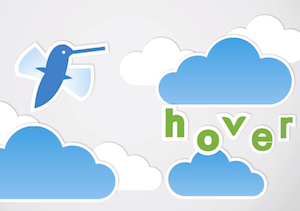 Hover is not the cheapeast one as its plans are pricings are more than Godaddy and NameCheap. The reason why I included it in my list is its support and customer care. They provide an outstanding supoort to their customers and that may be because they charge more than others. If you are kind of lazy guy who do not want to do anything and don’t have money issues can go for Hover. Apart from above domain registrars there are many other available. You cannot count on everyone of them that’s why I have included only those which have good reputation and reviews. There are few which are not present in the above list. Below I have provided the link to their site. However I would recommend you to go for Godaddy/ BlueHost/NameCheap.